Cherub All-in-one for Tiny Babies 2 - 5lb. 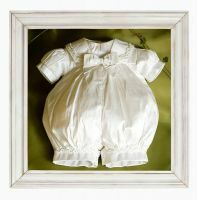 Made from 100% Silk and trimmed with guipure braid the attention to detail on this tiny outfit is what makes it extra special. 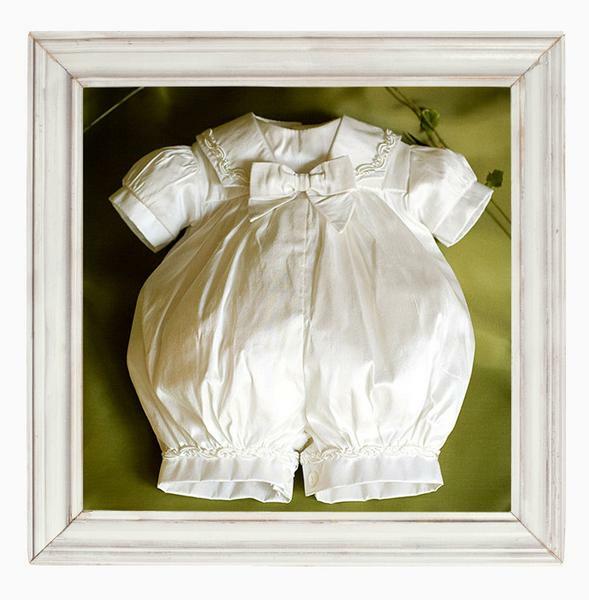 The back of the outfit is fastened at the bodice by satin ribbon ties.